Every adventure has to start some where; this one began early last December with the arrival of a party invite tucked inside a Christmas card, no sooner had Jen sent the R.S.V.P. I was formulating an adventure; that would see us travel a 400 mile round trip and present me with the opportunity to fish 3 famous Scottish salmon rivers in 3 days and in the process experience the gamut of classic Scottish spring weather conditions. Before I go any further I feel the need to clarify the term Spring, it most certainly is not spring like here at the moment! simply by looking out the window you can tell its still the middle of the bloody winter! The term Spring gets banded about by salmon fishers simply because it’s the new season, misleading the uninitiated! I emphasise: it is no reflection of the weather and the five layers of clothing I wear below my waders can attest to that fact, spring is a distant dream or so it seems but as a sufferer of a incurable fly-fishing Addiction, the weather is a small discomfort to bear when in search of “Spring” run wild Scottish Atlantic salmon. The party invitation set a ball rolling that would see me fish the River Ness, the Iconic river Helmsdale and the famous River Thurso, each river quite different in its own right regardless of the weather conditions or it water levels. 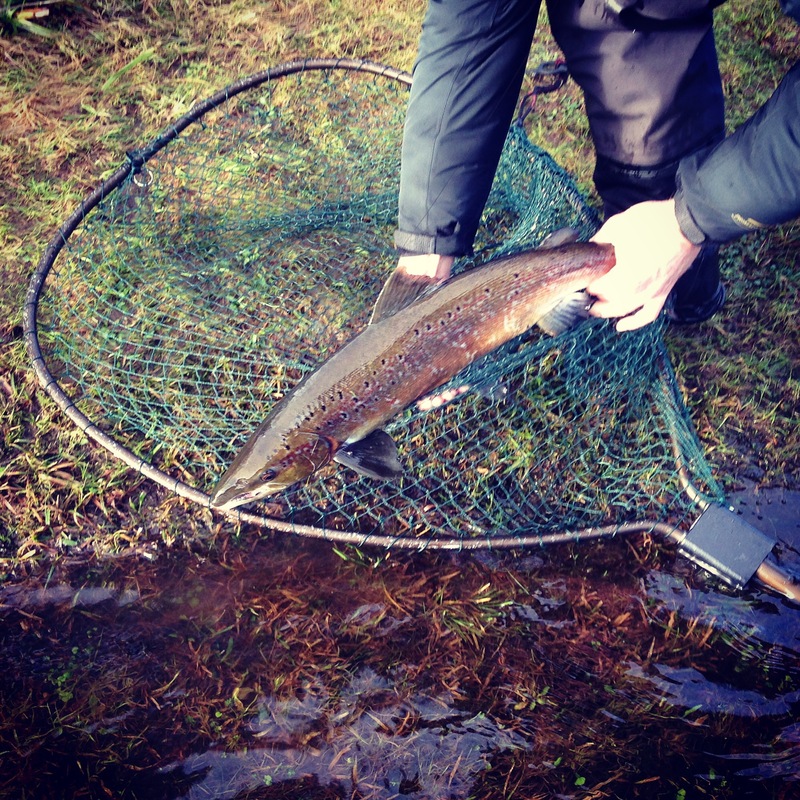 The Thurso and The Helmsdale opitomise classic Scottish spring rivers, opening first for the season these rivers are world renowned and in some senses are a pilgrimage that every Scottish salmon fisher should make. I added the Ness to the list simply because it’s a true classic and its one of my favourite rivers in Scotland. I cut my teeth on the Ness, casting my first fly as a young boy, its where I caught my first trout on the fly and its the river that produced my first Salmon over 20 years ago. Mid February was the date set and all I could do was cross my fingers and watch the skies, hoping mother nature would be kind. The 11th arrived with the usual pre-dawn start heading northward, apparently mother nature hadn’t got the memo! As we slipped on to the A96 a snowplough sped past clearing our route, thankfully only 4in of the white stuff had fallen but it was coming down hard and fast as we journeyed North and I was worried, having been washed out on the Tay at Dalmarnock 5 days earlier I had visions of white out all day, a rising river and frozen fingers. A feeling that didn’t leave me till I was waist deep in the peaty waters of the River 3 hours later. The Dochfour beat is spit between syndicate rods and Day tickets that are only avalible from Fishpal(http//www.fishpal.com). 4 rods daily producing nearly 200 fish last year, Dochfour with both banks covers the top two miles of the Ness from the weir to the Ness Castle beat. This was my 2nd year on the beat with Grant Sutherland the head ghillie, the beat starts by the weir that divides the Ness from Telfords Caledonian canal, and a mile below Loch Ness and its monster, flanked on both sides by steep hills. These hills had now disappeared into the haze of sleet, snow and blanket of thick grey cloud, a stark charge from last time I fished the beat. 12 months earlier it had been blue skies and 12in lower, but regardless of the weather I was here to fish and once that first cast had rolled out the weather was forgotten. Drowned out by the enjoyment and focus of the repeated casting, every cast carrying that hope of a fish as the fly lands in the boiling greasy, peated waters. Starting on the Nettings pool in front of the upper beat hut, the sleet and snow continuing fall, I fished seeing little action with only the one briefest of knocks, repeatedly my attention was being drawn downstream to the Andrews pool below, the sound of jumping and topping fish breaking the air like audio catnip to the salmon fisher. Tingling with anticipation from all the visible action I reached the tail of the Nettings and Grant moved me on to The Andrews pool, as I slip in to the water and waded out Grant tells me “if your going to see a fish it will be in this pool” I am like a kid with a sugar rush, composing myself and following Grants advice I fish the current break 25+. Ft from the bank,, between the boiling surging fast water being generate by the croy and the glassy slacker water out from the bank. The first 200ft of the pool generated not a touch and with every step down the pool the activity below seems to intensify, the urge to run down and try and cover every fish was hard to resist. Steady head prevailed; reciting ‘good things comes to those who wait’. Even from a distance it was quite clear that a lot of the fish showing were kelts but where you find kelts you will often find a fresh fish, I was hoping that the next cast or every one after could produce me that 2016 springer. The north bank comes to a point and ends where the Ness widens and divides, where it drops and spills round a large wooded island. The south branch with the faster water follows the right hand bank and surges to right of the Island. The north or left branch forms a huge loch like pool of slow glassy, greasy eddies 3-4ft deep, these waters held back by a natural weir running diagonally upstream from the point of the island to the north bank. Repeatedly fish topped downstream of me and I had to remind myself to breath! to keep my cast in check, cast repeat, cast repeat. Contact! Fish on! a lack lustre take and immediately I knew it was a kelt, none the less it offered some sport as I fought to bring it to the offered net, a Hen fish of about 5lb turning back to silver as she nears the sea once more. A quick release and I watch her safely swim away, frantically I strip line off the reel and roll out another cast, desperate to be back fishing. A distinct bounce to my step, always nice to see a fish, a couple of more knocks but nothing sticks and Grant suggests lunch. As I lift my rod tip and begin to retrieve my line from on the dangle a faint knock and the gathered line strips from my fingers, a jolt of adrenaline and I lift my rod tip, FISH ON! It runs across the pool in front of me, porpoising as it turns downstream showing its self at a distance; its dark blue back and silver flank visible. Don’t ask me why but for what ever stupid reason I felt I should adjust the drag, still a little rattled from the unexpected take I fumble with the slack in attempt to allow it to run but under tension, fatal mistake! The fish turns and runs straight at me frantically I reel as it races up the pool, why oh why did I mess with the drag? Suddenly the rod tip recoils and lifts, the line goes slack……..it’s gone! A shower of expletive follow the vanishing Salmon, I retrieve the line and call it lunch. “That could have been a springer” hope in my voice, but Grants’ look said it all; you’ll never know! Buoyed by the mornings successes and un-dampened by the recent loss and with the sleet easing the odd ray of sunshine now hit the rivers tea like waters, as we walked back to the hut, a good morning had, high hopes for what the afternoon would bring. Over lunch Grant suggests a return to the Andrews pool that had proved so productive in the morning, with a clearing sky the temperatures had started to drop however the fish where not put off and were still active and before too long I bring another kelt to the net, losing 3 more over the afternoon, smiling from ear to ear we fish on till the back of four o clock. For the final hour I fish quickly through the Burnmouth pool on the weir, sitting below this man made divide of river and canal, it is a surprisingly beautiful location the waters spilling over the weir in sheets and rivulets that boil and mix with the main river at the Burnmouth pool. Behind me the sun was setting through the rising mists on the hills above Loch Ness adding to the magic and making it feel like a privilege to fish this beat. On this occasion I was to have the Beat to myself and monopolise the ghillies time too. No springer but it was a joy have put a bend in the rod a real smile on my face. Last season was an great year on the Dochfour beat and the river can offer great fishing year round even in the dry weather when other beats struggle. It’s fairly obvious that the Ness and the Dochfour beat is a particular favourite of mine, you really should give it a go! It’s only in the last couple of years that rods have been made available, so jump on Fishpal and book it now! Grant and has spent 20+ years on this river, he has a genuine passion for the river and the quality of its fishing. If you want to Know more visit or keep up to date with the beat news and its catches on Facebook; @Dochfour Fishings. A very enjoyable days fishing concluded, 1 river down 2 to go so now a 2 hour journey northward, a quick change out of wet waders and we were off on the next stage of the adventure the evening sky clearing and the first hints of frost on grass, the dark navy blue of night descended and the first pin pricks of star light visible we followed the winding A9 northwards hugging the Moray Firth coast of Northern Scotland. 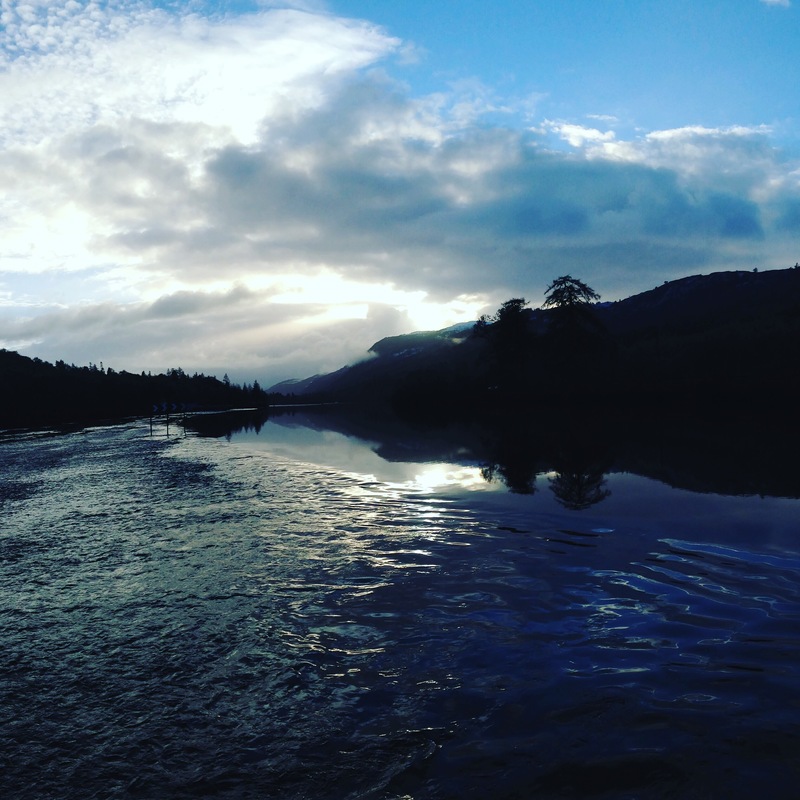 The adventure was to continue; come morning I would be fishing the famous River Helmsdale, join me in my next article as I get to sample this famous river and the Thurso.